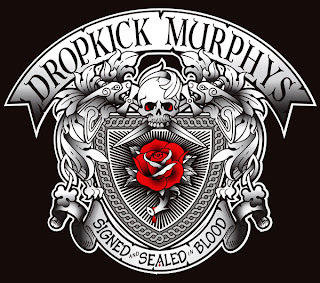 A couple of weeks back we reviewed Dropkick Murphys latest album Signed and Sealed in Blood and we enjoyed it for it's rowdy sailor like sentiment. Following the standout track's video for Rose Tattoo is second single the ominous sounding The Boys Are Back. In this case, they're looking for trouble and thus a boxing ring sets the scene for this video that sees the band in their trademark high spirits.